Bob Swart of Bob Swart Training & Consultancy has presented two sessions at CodeRage III. As CodeGear Technology Partner, Bob Swart is a regular speaker at Borland and CodeGear related conferences and events (and is organising a free Delphi Prism seminar in The Netherlands during CodeRage as well). I am offering a free courseware manual as one of the prizes from the virtual Exhibit Hall. 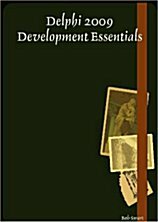 Delphi Courseware Manuals (from Lulu.com or with updates and support directly from me). In this session, we will demonstrate how we can use DataSnap to build COM-less multi-tier applications using Delphi 2009 on the Win32 server side and Delphi 2009 as well as Delphi Prism on the (Win32 and .NET) client side. This session will go beyond the simple DataSnap demos that we’ve seen in the webinars and will also cover updates to datasets and deployment details. Using RemObjects SDK and Hydra with Delphi for Win32 and .NET (Delphi Prism) to show how to build distributed applications with plug-in capabilities (using Win32 modules in .NET and vice versa) which could help bridge some of the areas between Delphi for Win32 and Delphi Prism. This session will show how to build hybrid (Win32/.NET) plug-in based multi-tier applications. This webpage © 2008-2010 by Bob Swart (aka Dr.Bob - www.drbob42.com).All Rights Reserved.